Stepping into Grand Silverland Hotel & Spa is a little like stepping back in time. Historic prints recount tales of an older Saigon, while classical furniture and décor echo the city’s French-colonial past. 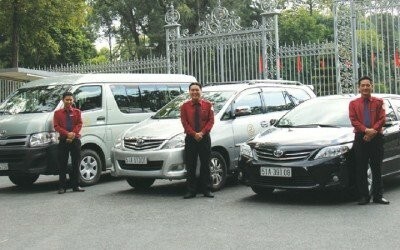 Here you will be greeted by ao dai-attired staff, ready with a warm smile and a refreshing welcome drink. Everything at Grand Silverland exudes calm and serenity, in vivid contrast to the vibrant city streets that gleam beyond panoramic floor-to-ceiling windows. 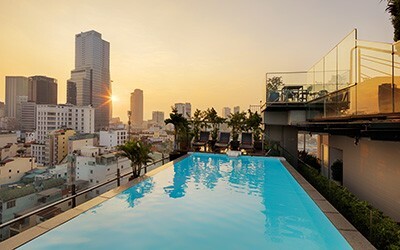 What’s more seductive than resting in the cool water and enjoying the great city view from above? At night fall, it’s best to unwind and refresh with our cooling cocktails and tasty snacks served right at your table. Served daily from 15:00 – 17:00, enjoy our free daily Afternoon Tea at the lobby of Grand Silverland. 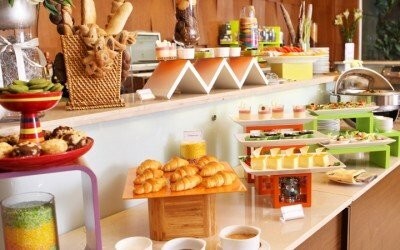 The complimentary service includes both Western and Asian Tea, tropical fruits, cookies, pastries and finger food. 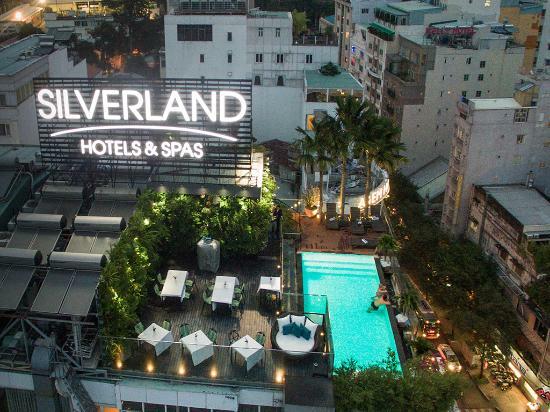 True to its host, everything about KL Spa at Grand Silverland exudes luxury and elegance. Sink into comfy sofas as you craft the perfect treatment with the help of our trained treatment specialists. Then choose from a choice of treatment rooms, each with its own distinct features and design, each a private haven of serenity. Then surrender to bliss amid subtle and relaxing sounds and scents. Whichever treatment you choose, you can rest assured it will be provided with Silverland’s loving attention to detail. Rich materials and elegant furnishings come together to create a warm and welcoming ambiance in our cozy Deluxe rooms. Feel the wooden floors underfoot, sink into plush pillows and luxuriant linens, or soak your cares away with a relaxing bath. We combine the very best in home comforts with the latest amenities and in-room technologies, with Wi-Fi and LAN Internet access and flat screen satellite / cable TV ensuring you are never out of touch. Our Premier rooms deliver urban serenity at its best. Take in vivid views of the Saigon streets below from a haven of peace and calm. Choose from a bathtub or spacious freestanding shower and Twin or King beds and let the warm décor, luxurious furnishings and nightly turndown service lull you into sweet relaxation after a busy day of sightseeing. Warm colors and rich woods set the tone in our Executive rooms – restful and relaxing havens carefully crafted for the modern traveler. Sink into the luxurious King bed, curl up on the sofa with a good book, or stay on top of it all in a spacious work area. Add to this a host of delectable in-room dining options, a spacious bathtub and nightly turndown service, and a rejuvenating and restful stay is guaranteed. With stunning city views, a plush King bed, large Jacuzzi bathtub and endless opportunities for rest and rejuvenation, our Silver Suites offer all the comforts of home right at the heart of Saigon. We invite you to settle in, stretch out and make this expansive space your own. An elegant living area invites with chaise longue, coffee table and ample working space; perfect for planning your next day’s Saigon adventures. Come evening, plush pillows, luxurious linens and our nightly turndown service will lull you into blissful relaxation. 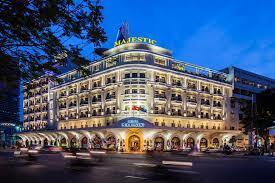 VIEW MORE: "Hotels in Ho Chi Minh city"